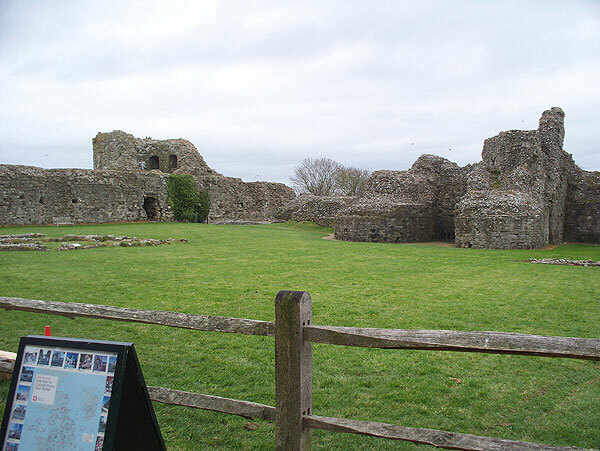 Pevensey Castle was founded around AD 270 as a Roman fort called Anderida, defending the Bay of Pevensey. 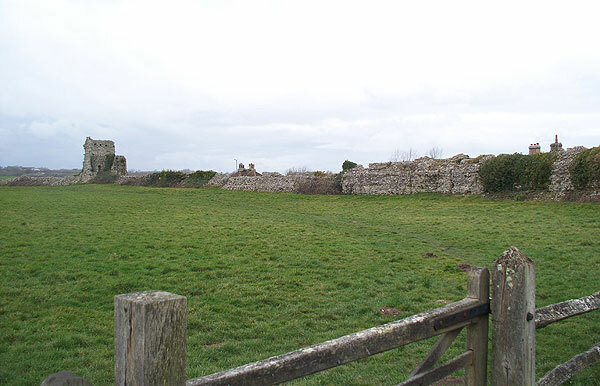 After the end of Roman rule in Britain, the walls sheltered a settlement until at least the fifth century. 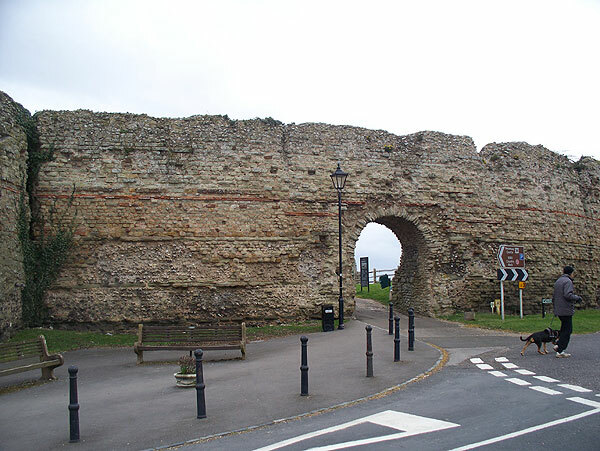 In 1066, the ruinous Roman defences were refortified by William the Conqueror, and a great Norman castle developed in one corner of the Roman enclosure. 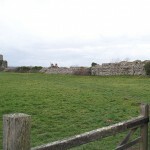 By the early sixteenth century, the castle was abandoned. 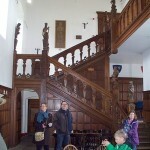 The site was briefly remanned in Tudor times, and also in World War II, in response to threatened invasions. The size of the Roman enclosure is impressive, and the walls stand to nearly their full height over much of the perimeter. 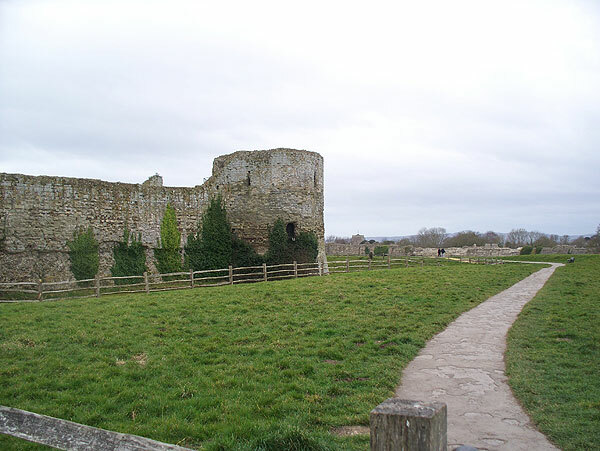 The walls and towers of the medieval inner bailey mostly stand, but the keep is very ruined and little remains of the upper floors. 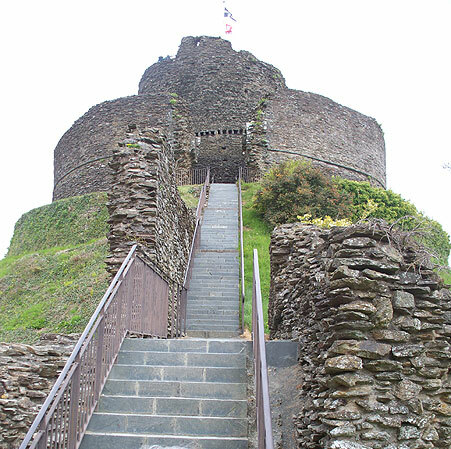 The castle was besieged four times in the medieval period and the keep underwent substantial alterations in the 14th century. The machine-gun nests and the refitting of several towers for accommodation as carried out in WWII can still be seen today. A basement room near the gate can be entered by descending steps. It was used as a prison. 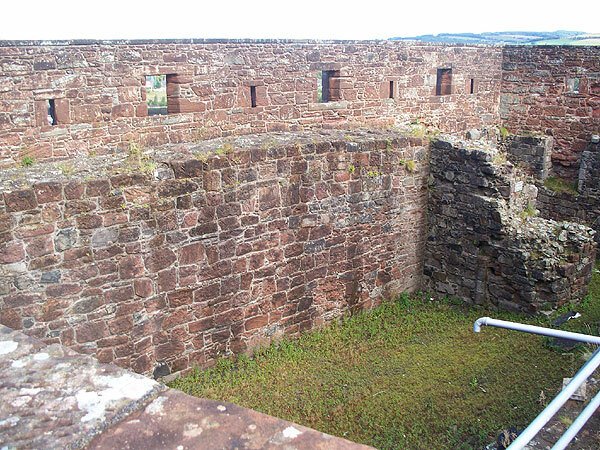 Another can only be accessed by a hole in the roof and may have been an ‘oubliette’. 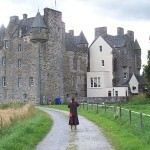 The castle is well worth a visit if you are in the area. 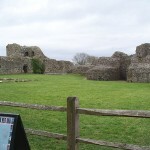 Access to the outer bailey is unrestricted, but entry to the castle inner bailey is chargeable. 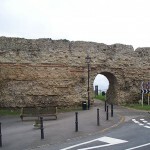 If you have time, walk or drive around the outside of the outer wall. 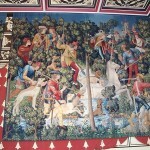 Herstmonceux Castle has a chequered history. 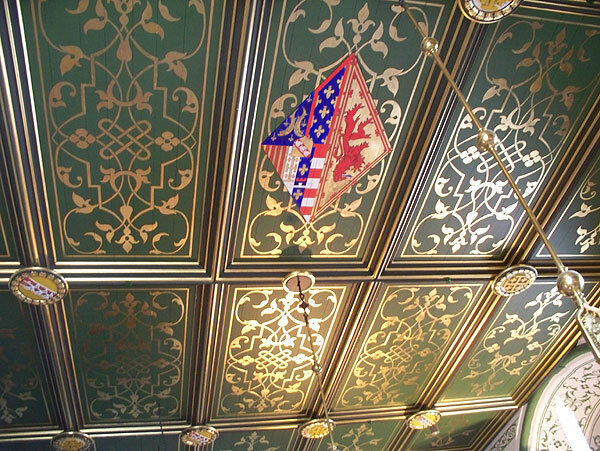 It was built in the 15th century as a castle-style palatial residence by one Roger Fiennes, Treasurer to the court of Henry VI. 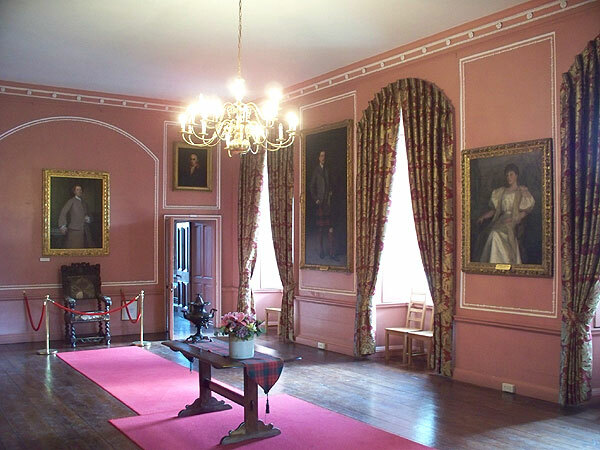 By the 18th Century, the castle was in the hands of Robert Hale-Naylor, who had the interior of the castle dismantled in 1777 on the advice of fashionable architect Samual Wyatt. The contents were sold off, and other materials used to build a new mansion, designed by Wyatt, nearby. The outer walls remained as a romantic ruin till the 20th century. Radical restoration work was started in 1913 by Colonel Lowther and completed for Sir Paul Latham by the architect Walter Godfrey. 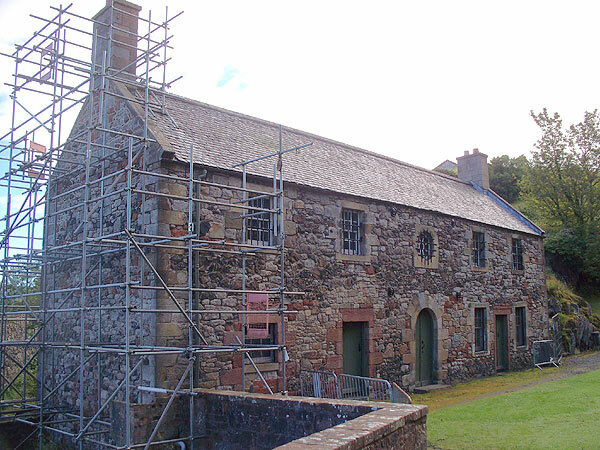 Despite appearances, everything visible from the inner courtyard is 20th century work. In 1946 the castle and estate passed into the hands of the Admiralty and by 1957 was the home of the Royal Greenwich Observatory, with the castle being used for accommodation and the grounds housing various telescope domes. 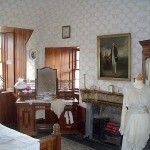 By the 1970s the Observatory had moved out and in 1992 the castle was bought by Queens University of Canada with funds provided by Alfred Bader. In 1994 the Queen’s International Study Centre opened. The most striking thing about the castle is its size – it is one of the biggest brick-built castles in England and one of the largest early brick-built structures. 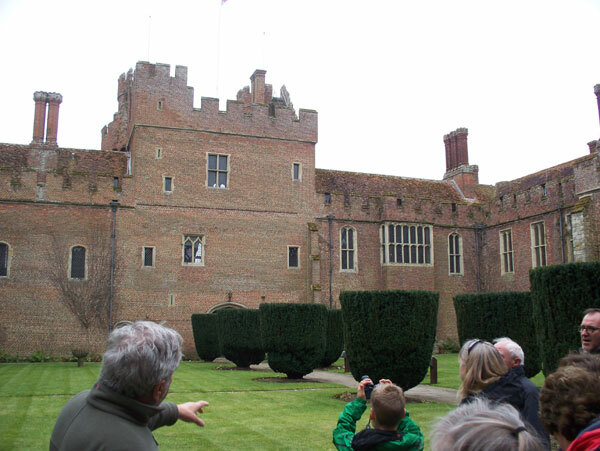 The grounds and gardens are normally open to the public, and on some days a guided tour of the Castle is available at extra cost. 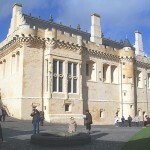 (Pay at reception in the Castle). 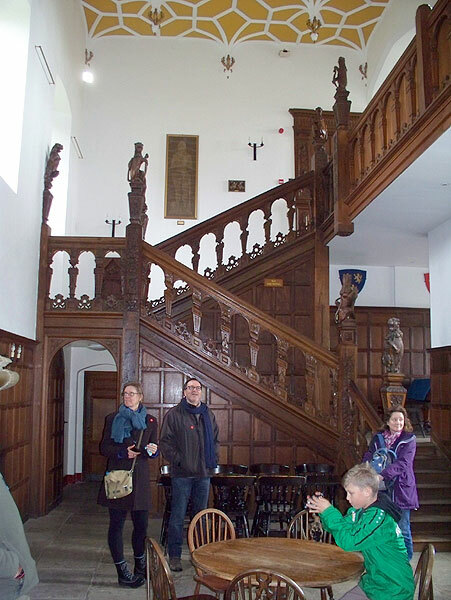 It is worth taking the tour, as you will see much of the ground and first floors, as well as the courtyard. 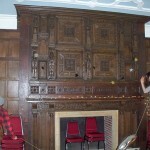 The interior contains various bits of architectural salvage from older houses. The gardens and woods are also worth exploring. 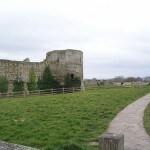 If visiting the castle by car, it is recommended that you do not use postcode navigation, but instead navigate to Bradley Road, Herstmonceux or to the Wartling Road running northward from the A27 at Pevensey. 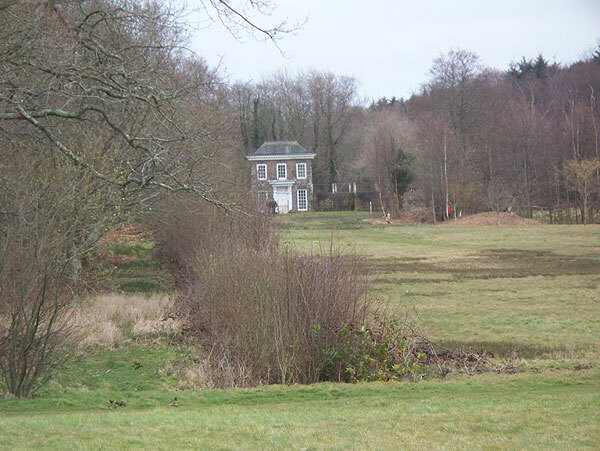 The only public entrance, shared with the Observatory Science Centre, is off the Wartling Road. The ticket hut for the castle grounds is opposite the Science Centre. 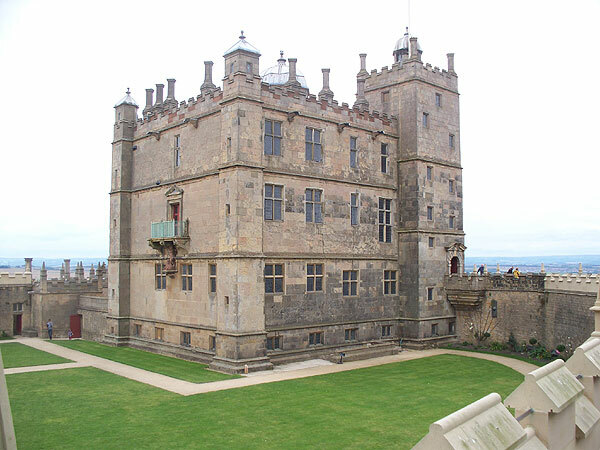 Bolsover Castle was built in the 17th century by the Cavendish family as a country retreat. 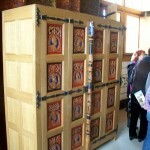 It replaced the ruins of an earlier castle on the site. 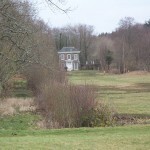 The Little Castle was begun by Charles Cavendish in 1612. 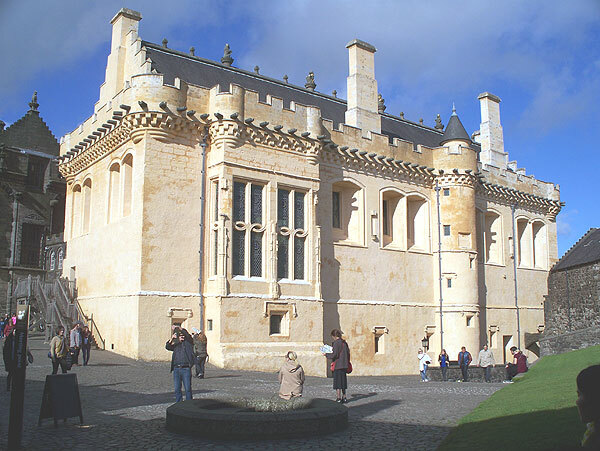 His son William inherited in 1617 and added the Terrace and Riding House ranges, making the castle a place of aristocratic reception, entertainment and pleasure. William fought for the Royalists during the English Civil War but having been given command of Royalist forces he suffered a humiliating defeat at Marston Moor and fled abroad. It appears that the terrace range suffered substantial damage during the Civil War. 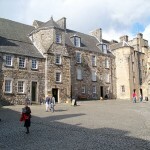 William returned in 1660 and built the riding house range, also rebuilding the state apartment. William was an enthusiastic horseman and invented the art of ‘menage’. Wm. 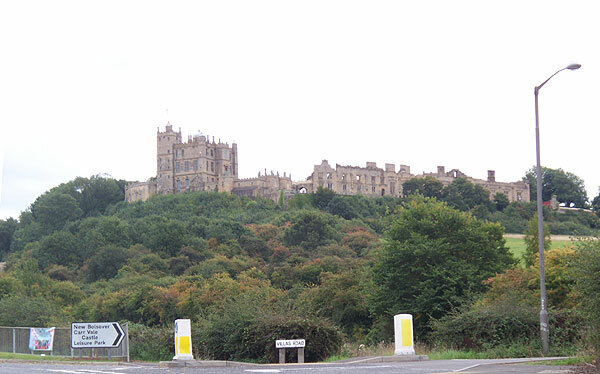 Cavendish’s son Henry inherited in 1676, and under him Bolsover suffered a decline as interest shifted to Nottingham Castle. 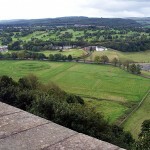 The Terrace Range was unroofed by 1770. 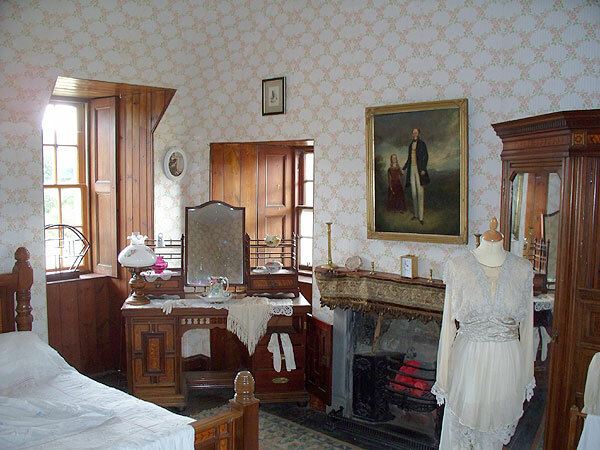 In the 19th century the Little Castle was let as lodgings. 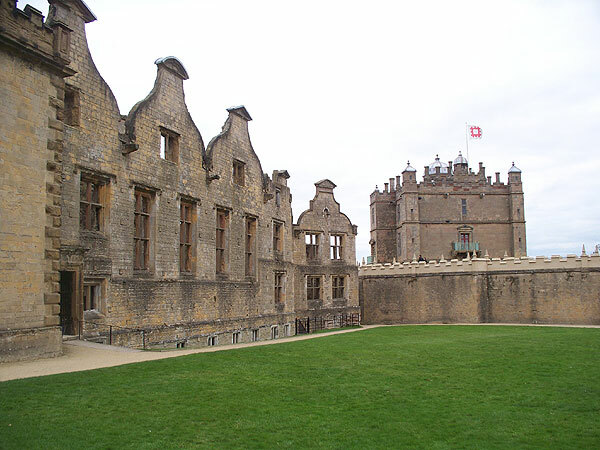 There is a lot to see at Bolsover Castle. 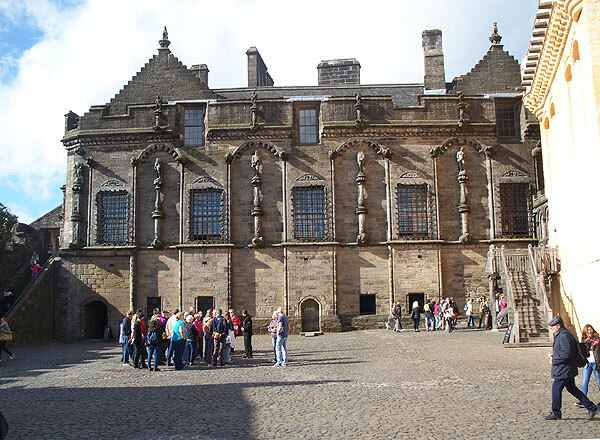 The riding house range is visible across the outer bailey, and at certain times displays of horsemanship take place inside. 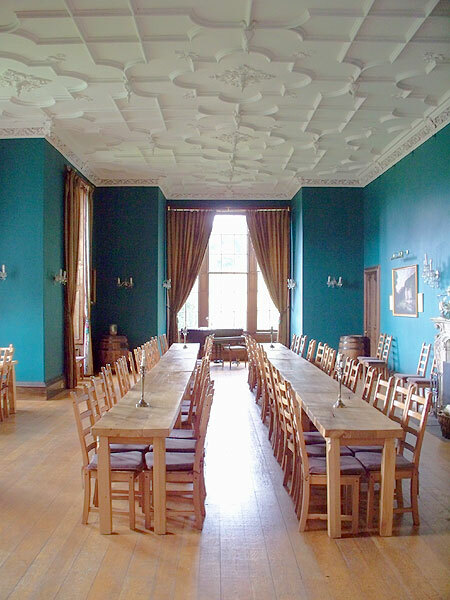 At other times the interiors can be viewed. The Terrace Range is a ruin, but there are various rooms to inspect, and also a series of ruined kitchens at basement level. 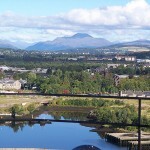 The outer terrace gives great views over the plain below. 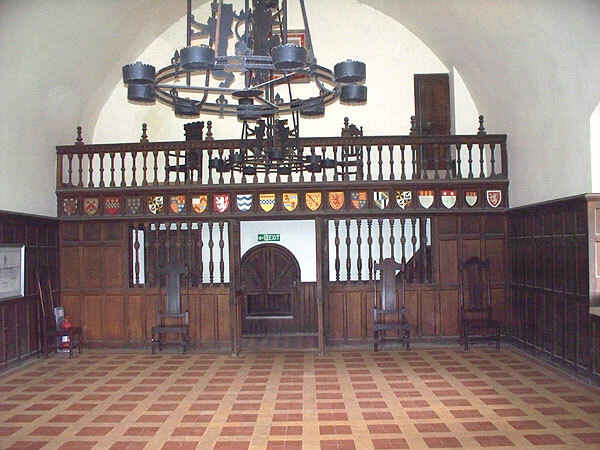 The Little Castle, a miniature Renaissance mansion in the shape of a Norman tower, has rooms on three floors, and a kitchen area in the basement. 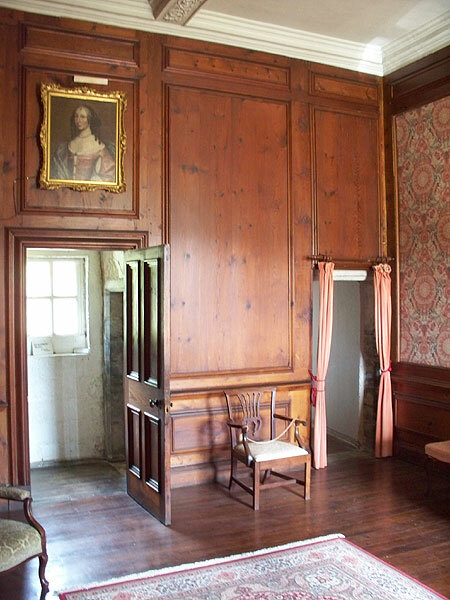 Each floor has several rooms of varying sizes, which retain some of the original decoration, including notable wall paintings and ceilings. 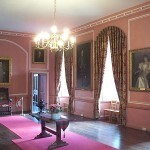 Representative furnishing has been installed in a number of rooms. 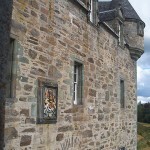 The Little Castle is the highlight of the tour. The Fountain Garden is surrounded by a wall with walkway (recently restored) and has an elaborate fountain at its centre. 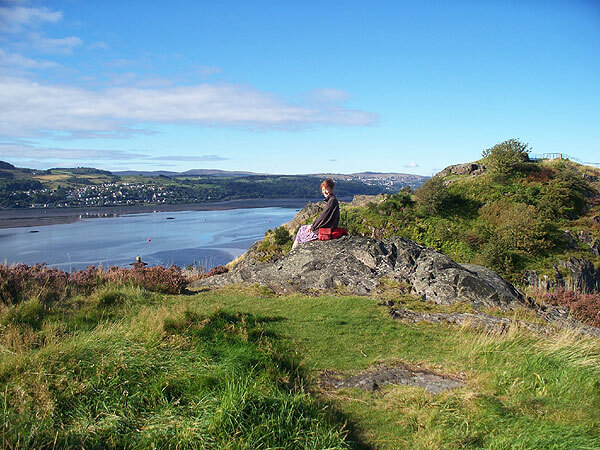 Dumbarton Castle, on the Clyde near Glasgow, has a recorded history going back some 1500 years. 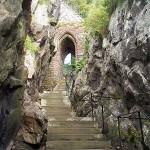 In the dark Ages, the rock was the capital of the British kingdom of Strathclyde. It was besieged by Vkings in AD870. A medieval castle was built by Alexander II of Scotland in the 1220’s against the Norwegians, who occupied lands just ten miles downriver. In later centuries, the rock became a formidable garrison fortress, its defences bristling with guns. It last saw military action as recently as the Second World War. 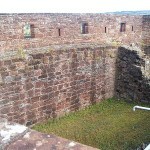 Substantial new artillery fortifications were built in the 17th and early 18th centuries. These are what the visitor sees today, for nothing survives from the Dark-Age fortress, and precious little from the medieval castle. 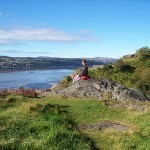 The castle rock can be seen from some way off, and great views can be seen from the twin peaks at the top. If you are looking for an ancient castle keep, what’s here may come as an anti-climax. 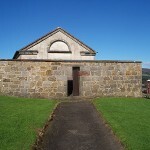 The most substantial buildings remaining are the King George’s battery and three-storey Governor’s House, both visible from the ground-level entrance. 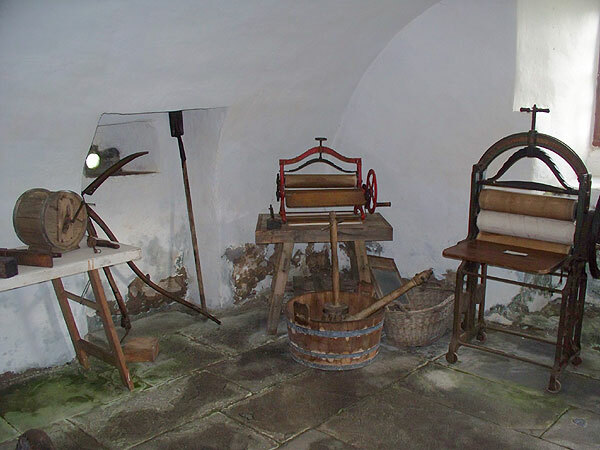 Like almost all the surviving structures, they were built in the 18th century. There are only two other roofed structures, both small. The views, on the other hand, are great. 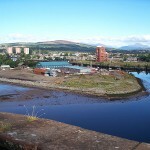 The Clyde can be seen to the south, and the town of Dumbarton to the north, with distant views of hills and mountains further away. 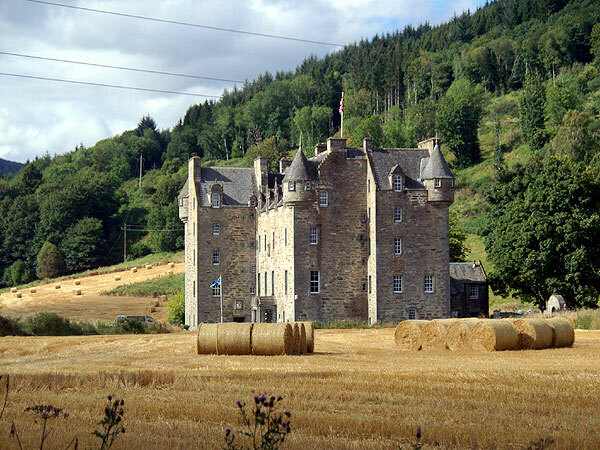 Castle Menzies (pronounced ‘Mingis’) was built in the 16th century (exact date unknown), possibly on the site of an older castle. 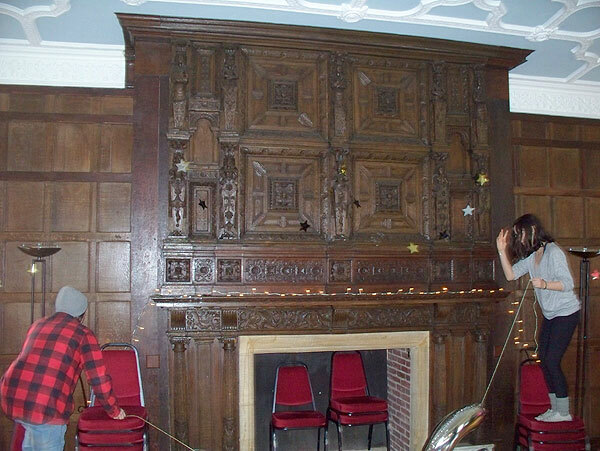 In 1577 the upper storey and roof were altered, adding the series of dormer windows with their elaborate pediments. This completed the construction of a Z-plan house, representing a transition between a fortified tower-house and a mansion. 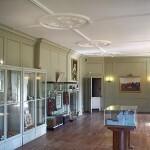 Despite the domestic features, the house was involved in conflict in 1646, 1715 and 1746.
http://canmore.org.uk/collection/1461079 showing the rear in 1942. In 1840, another wing was constructed on the west side of the main block. This block still stands today. 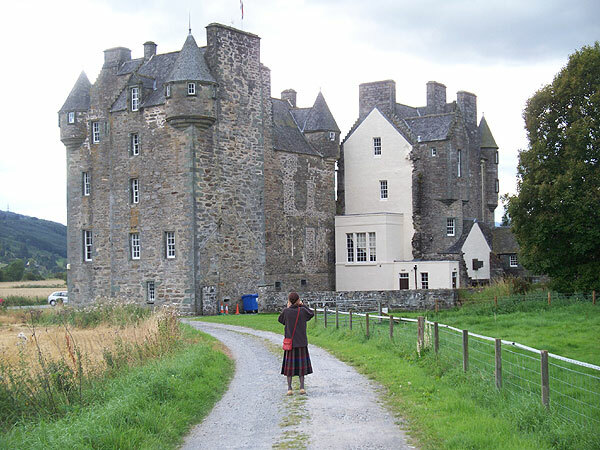 On approaching the castle, its striking appearance immediately marks it as a classic Scottish castle. It stands unfenced in open fields, in front of a high escarpment. 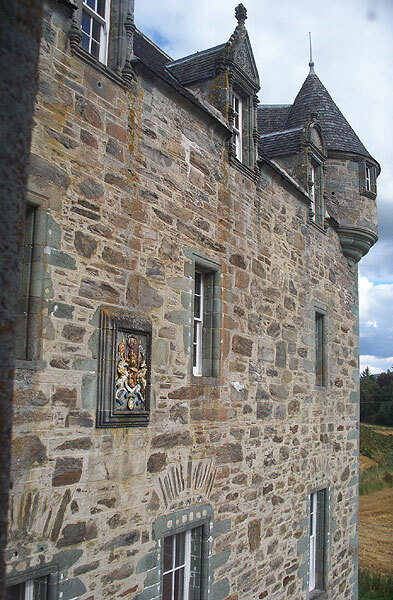 The castle was acquired by the Menzies clan in 1957 in a greatly dilapidated condition. 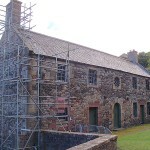 Since then the 16th century building has been restored with, it would seem, rather limited resources, followed by the restoration of the 19th century wing. 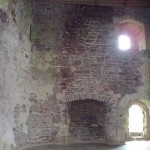 The ground floor consists of vaulted chambers including a kitchen. 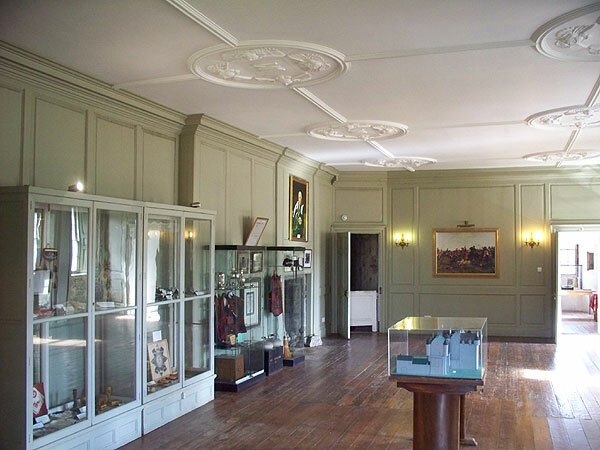 On the first floor of the main block is a great hall, panelled and with a plaster ceiling, and a withdrawing room with a fine pendant plaster ceiling. 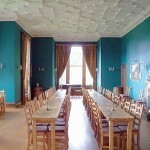 On the second floor are two more large rooms with plaster ceilings. The third floor is now an attic-like space open to the pitched roof. 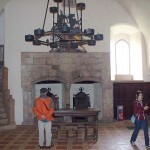 There are many other smaller rooms (the total for the castle is about 70). 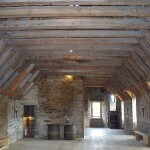 In the 19th century wing, the first floor hall (Dewar Room) is the only room of note open to visitors. 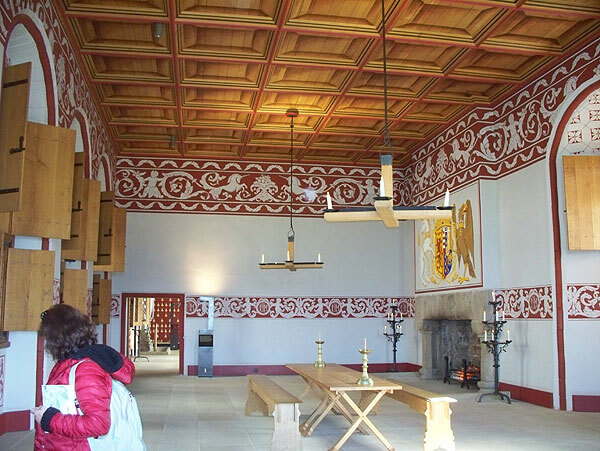 The castle with its many rooms, some elegantly restored, is a fascinating place to visit. 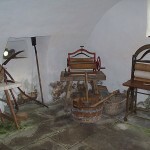 Various objects are identified by handwritten labels, which gives the place a dusty charm quite different from the high-budget National Trust for Scotland or Scottish Heritage properties. 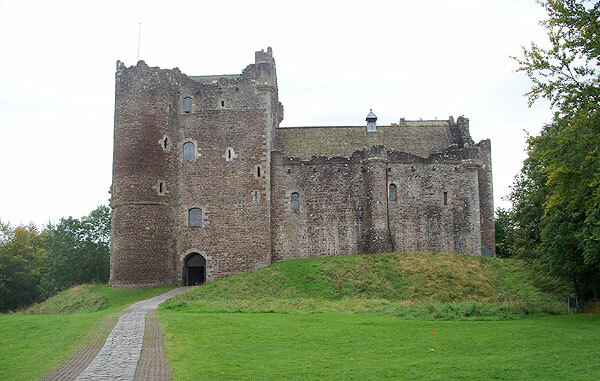 Doune castle was built in the late 1300’s by Robert Stewart, 1st Duke of Albany, Earl of Monteith and Fife. 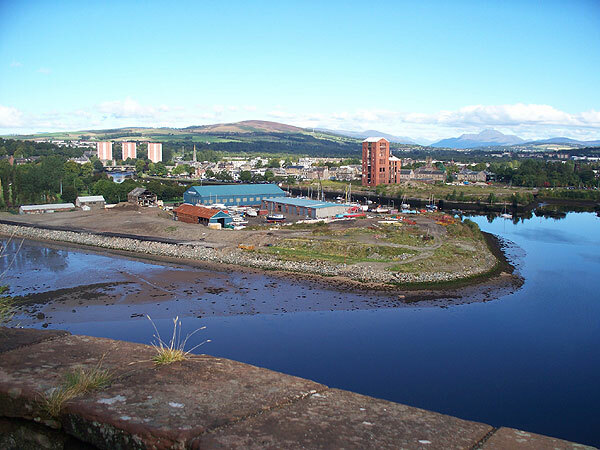 Albany was younger brother of the ineffectual Robert III, and was ruler of Scotland in all but name from 1388 until he died in 1420. 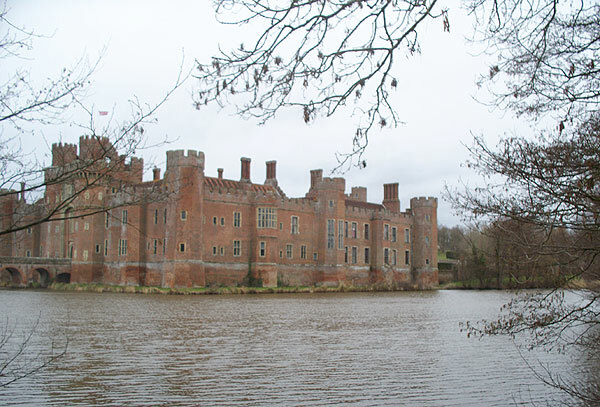 The castle is situated in a naturally strong position on a wooded river bend. 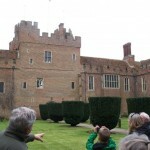 The castle today comprises the gatehouse tower, great hall, kitchen tower and curtain walls around the central courtyard. There appear to have been at one time other buildings occupying much of the courtyard, but the nature and function of these is now conjectural. 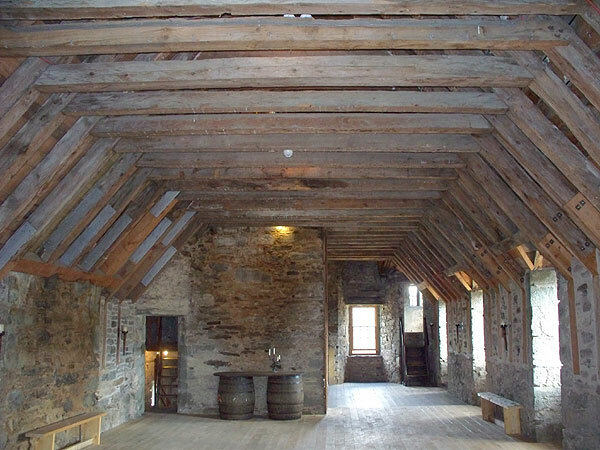 By the 1850’s the castle seems to have become a roofless shell, but a restoration was carried out in the 1880’s. 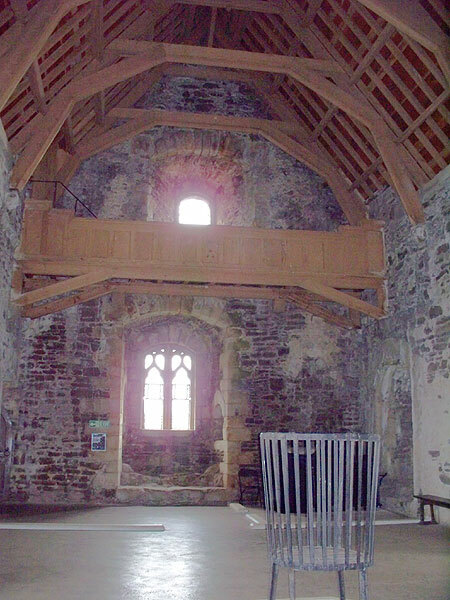 The towers and great hall all have vaulted storage chambers at ground level. 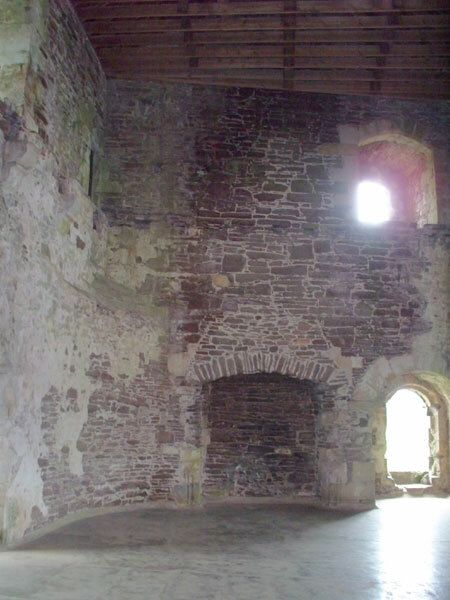 At first floor level the kitchen tower has the great kitchen, and an irregularly shaped servery. Stone-floored rooms survive above the kitchen. 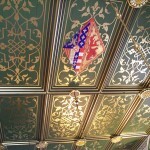 The great hall was restored in the 1880s and the roof and some other features date from this period. 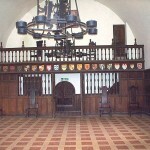 The first floor chamber of the gatehouse tower is known as the Duke’s Chamber. 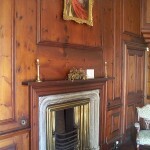 The present interior finish dates from the Victorian restoration. 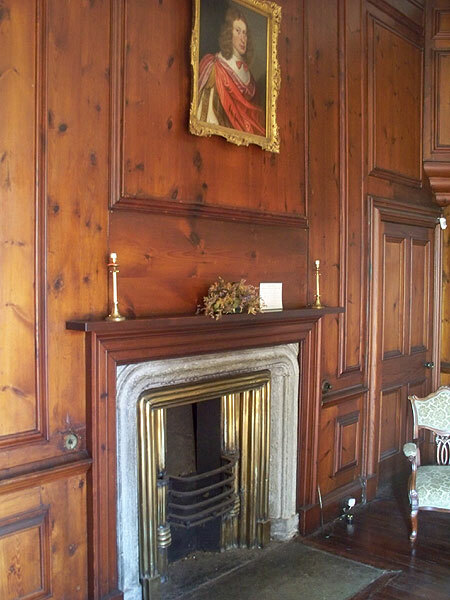 The room has an unusual double fireplace. 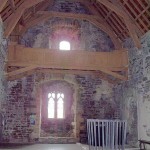 On the floors above are a small mezzanine chamber and further up another small chamber leading to the second-floor hall. This is now open to the roof, though clearly there was a third floor of wood, which has not been re-instated. 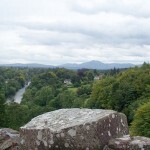 It is possible to exit onto the battlements, for a great view of the River Teith and country below. 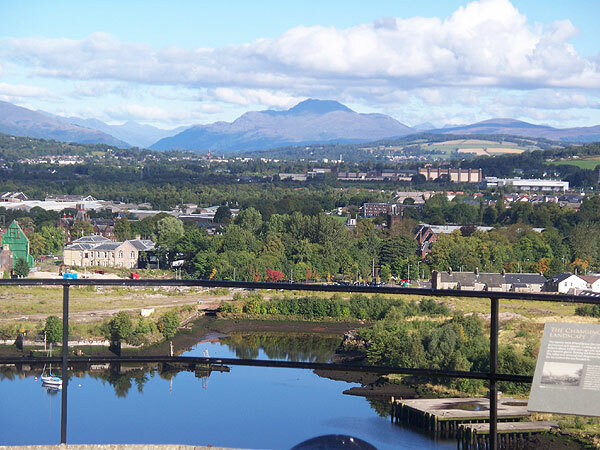 Some people prefer Stirling Castle over Edinburgh Castle, and having seen both I can appreciate why. 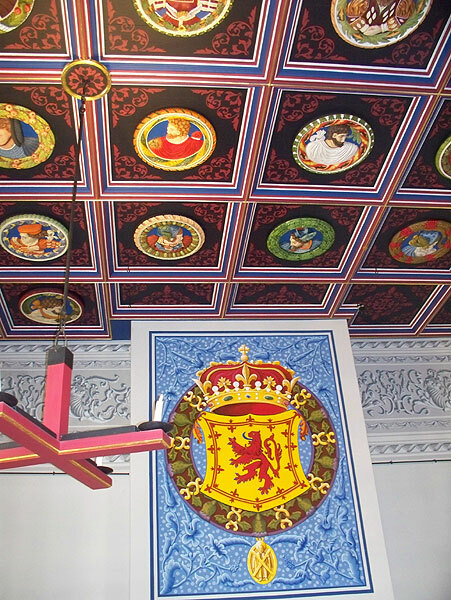 The first record of Stirling Castle dates from the 12th century, but most of the buildings withing the walls date from the fifteenth and sixteenth centuries. 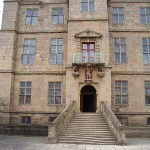 The Palace was used as an army barracks until 1965. 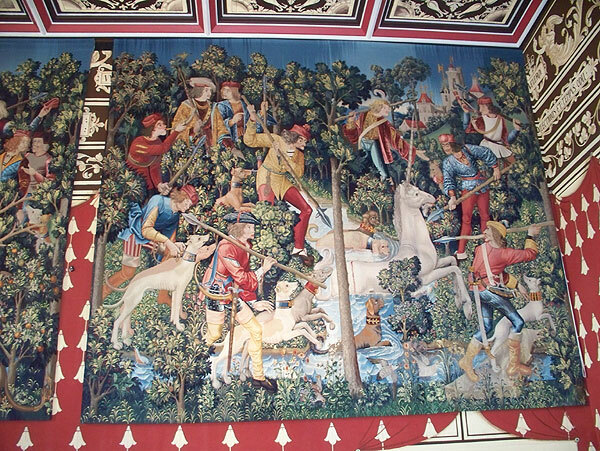 Now traces of army occupation have been removed and the original Renaissance interiors are being recreated where possible. 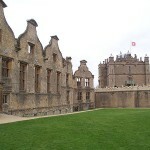 Surrounding the Inner Close are a series of notable buildings. 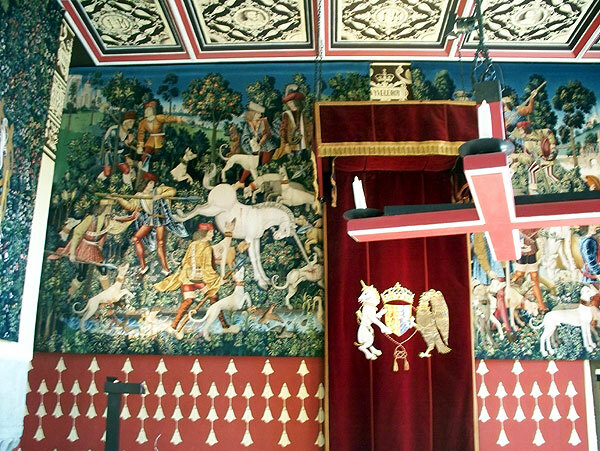 The Palace, dating from the 1530s and the work of James V, is the first Renaissance palace in the British Isles. 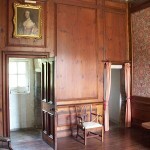 It contained separate suites of rooms for the king and the queen. 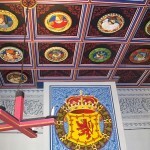 The interiors were recently recreated, including the notable ceiling with carved and brightly painted heads. 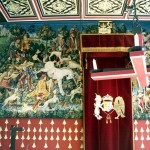 The Chapel Royal was built for James VI, in around 1594, replacing an earlier chapel. 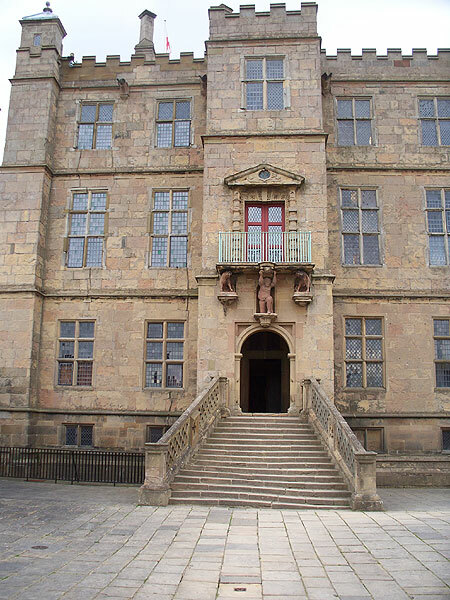 The King’s Old Building, on the western side of the Inner Close, was built around 1497 for James IV. Sections of the building may be older. Parts of it have been altered or rebuilt since. 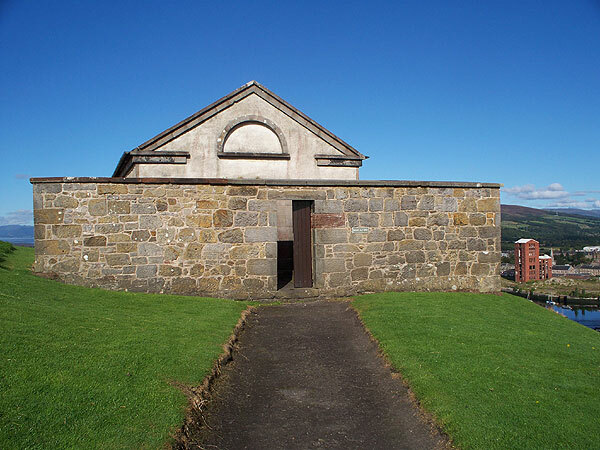 Today the range contains exhibition rooms and the Argyll and Sutherland Highlanders regimental museum. 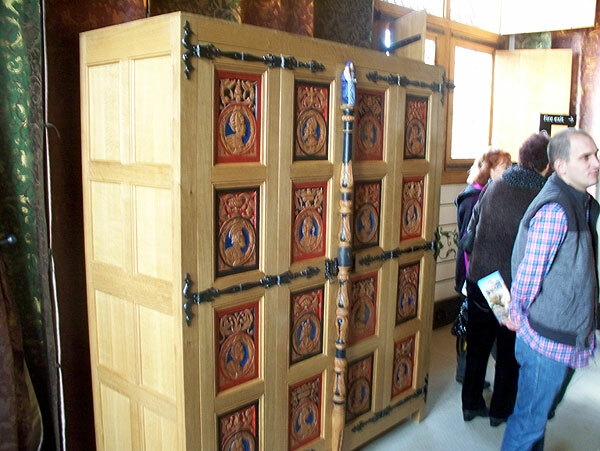 There are are also various vaults and outworks to look at. 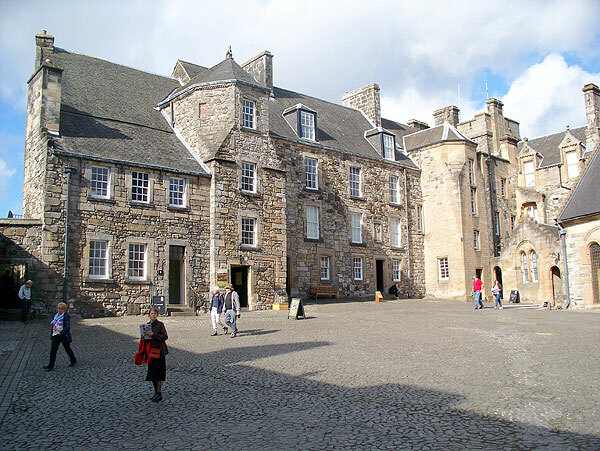 Below the castle and car park is Argyll’s Lodging, a town house of historic interest. 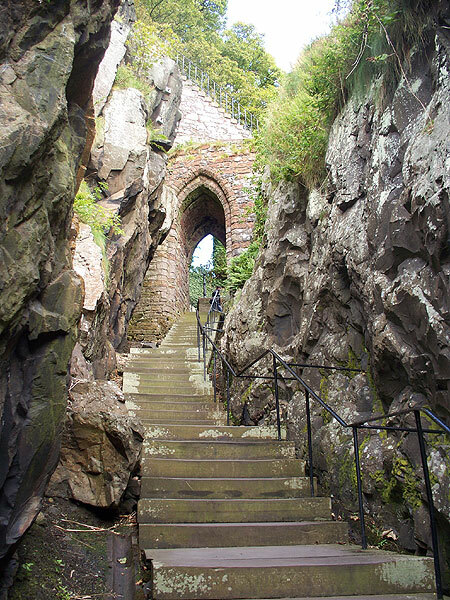 Access is free with a castle ticket. 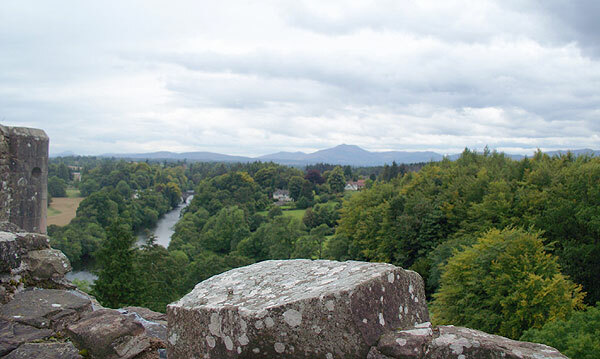 There are fine views from the castle ramparts. 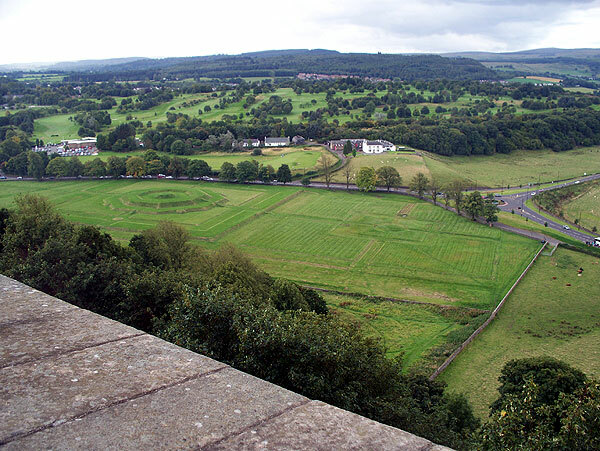 Look out for the remains of formal gardens on the flat land far below. 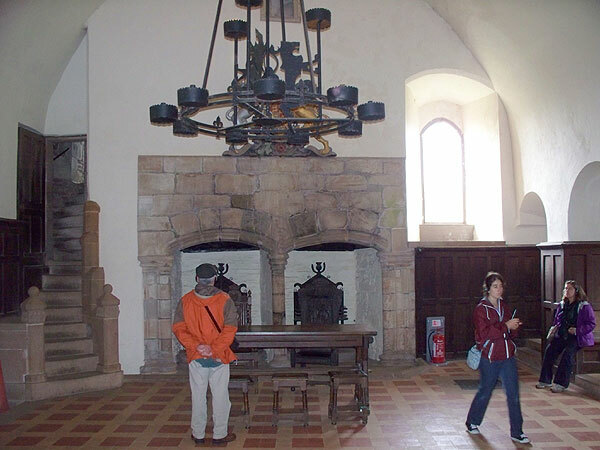 There is so much to see at the Castle that you should plan for at least a half-day visit. This is easily expanded to a whole day if you want to walk around the old town as well. 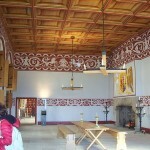 The Palace and the Great Hall interior are the highlights. 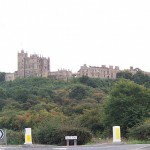 If you arrive by car, parking on the Castle esplanade is convenient but at £4, not cheap.